The United States National Teams swept gold at the 2016 World Ultimate and Guts Championships in all five ultimate divisions and guts. The Men’s team finished off Saturday’s finals with a 15-11 win over Japan. The Women’s team defeated Colombia 15-7. The Mixed team defeated Australia 15-6. Yesterday, both the Masters teams and the guts team won gold. It was a truly dominant performance from the United States in the first Worlds where the teams were selected by tryout. The teams that represented the USA were true all-star teams, filled with the best the country had to offer. 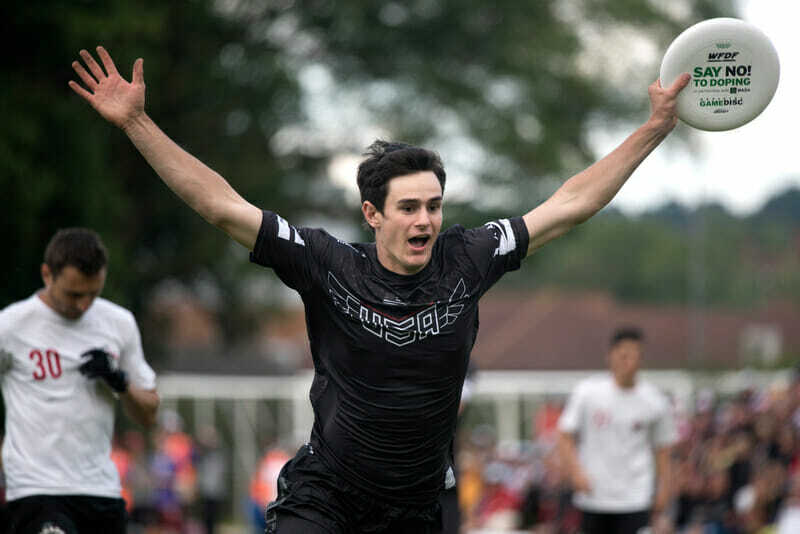 In years past, the club teams that won the National Championships earned the right to represent the United States at Worlds. These teams may have been some of the greatest ever assembled. The only US team to yield a break in their finals matchup was the Masters Women’s team. Stay tuned for more reporting from Ultiworld about this historic performance from the USA.